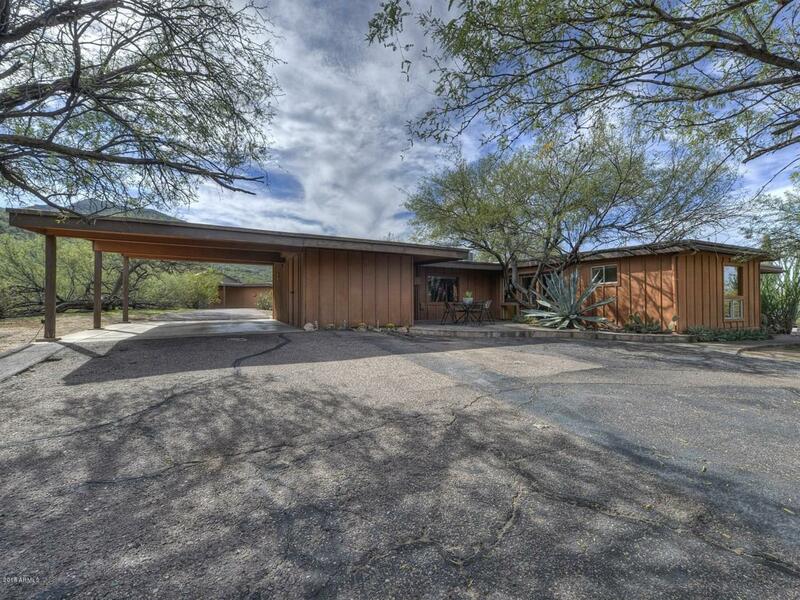 Mid-Century classic. Private yet convenient. 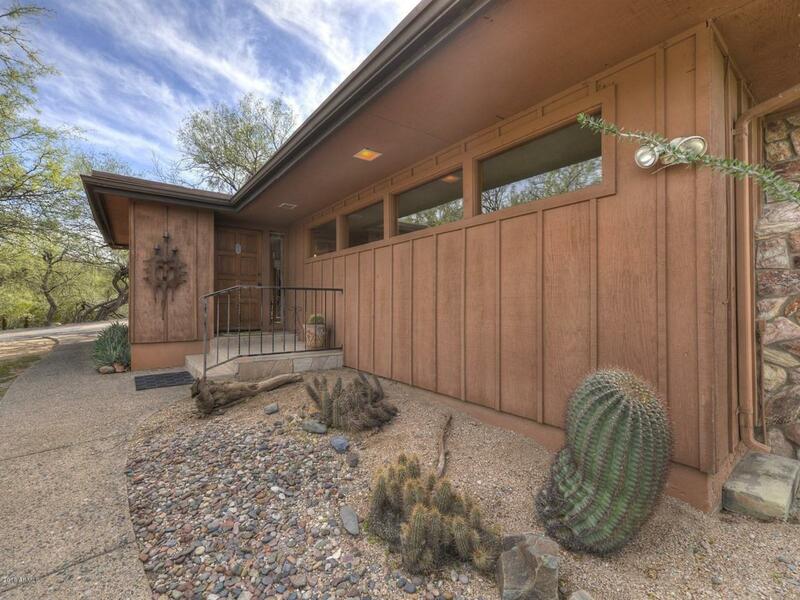 Nestled in a grove of mesquites at the base of Black Mountain with a design inspired by Frank Lloyd Wright, this home retains much of its original character. The trademark clerestory windows echo the strong horizontal lines of the living room, anchored by a wood-burning stone fireplace. Throughout the home, rooms flow seamlessly from one to another - and to the exterior, bringing the outside in and making the most of the beautiful setting with Black Mountain to the south and Elephant Mountain to the north. 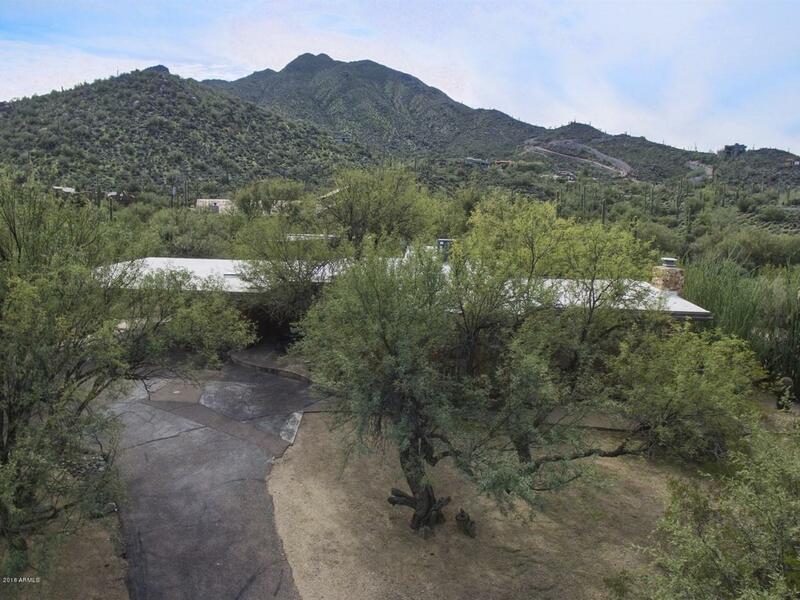 The expansive lot, oversized garage and separate carport are filled with possibilities for expansion or a casita. 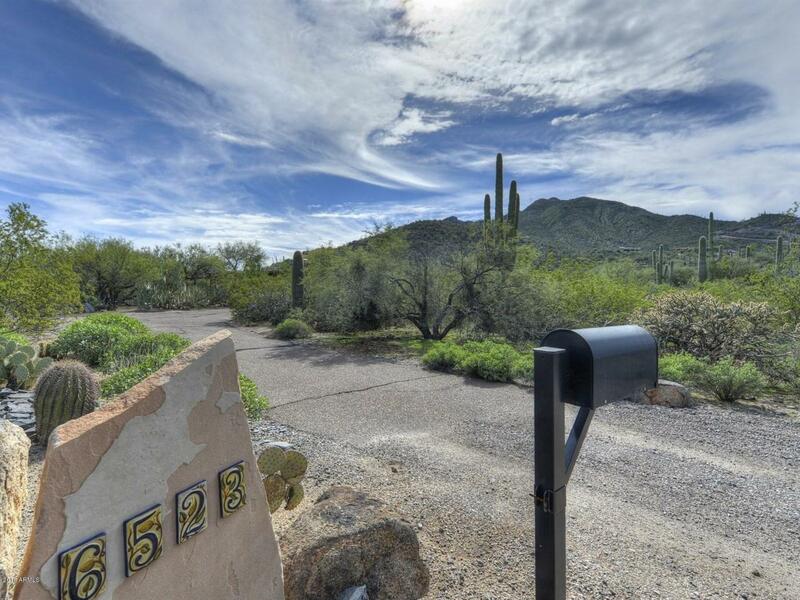 A quiet secluded location, yet close to all Cave Creek and Carefree have to offer: restaurants, galleries, hiking.